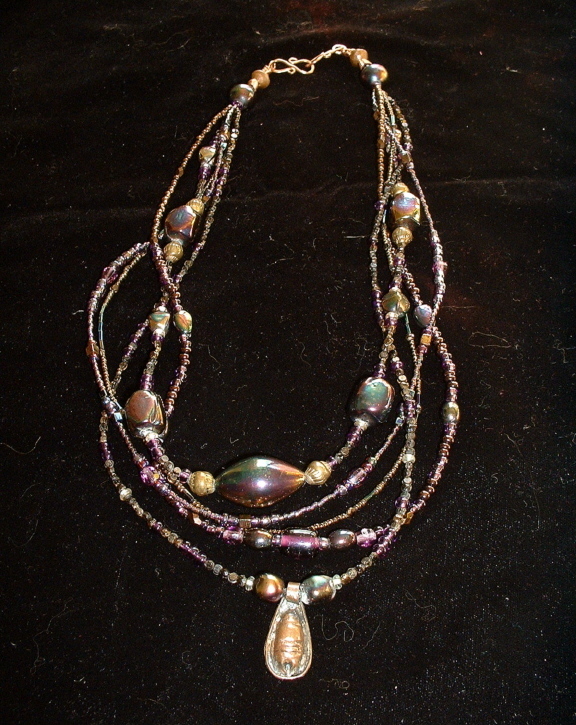 Five-strand necklace has a warm, rich glow, with raku beads and subtle sparkles of copper, African glass, Austrian crystal, carnelian, and jasper. African antique copper pendant. Hand-formed copper clasp.